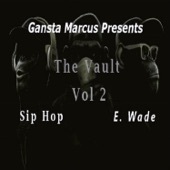 The producer Gansta Marcus says he is ready to release "The Vault" volume 2 the Swagg Edition. The release date is set for April 17 and online for pre-order. It includes artist such as 100 Gran, Young C, Edward Wade, Sip Hop, O-2, and TY. Distributed by Catapult. Pre-order contents may change without notice. Pre-Order your copy today before the music is released.